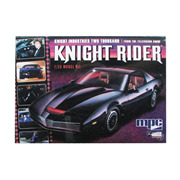 Knight, a high-tech modern-day knight fighting crime with the help of an advanced and nearly indestructible car - the Knight Industries Two Thousand (KITT), a heavily modified Pontiac Trans Am with numerous features, including an extremely durable shell and frame, controlled by a computer with artificial intelligence. Michael and KITT are brought in during situations where "direct action might provide the only feasible solution." 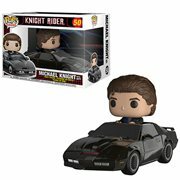 Knight Rider is an American television series that originally ran from September 26, 1982, to August 8, 1986. 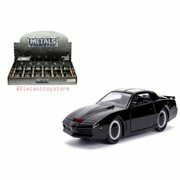 The series was broadcast on NBC and starred David Hasselhoff as Michael Knight, a high-tech modern-day knight fighting crime with the help of an advanced and nearly indestructible car - the Knight Industries Two Thousand (KITT), a heavily modified Pontiac Trans Am with numerous features, including an extremely durable shell and frame, controlled by a computer with artificial intelligence. Michael and KITT are brought in during situations where "direct action might provide the only feasible solution." This article uses material from the Wikipedia article "Knight Rider (1982 TV series)" and is licensed under the GNU Free Documentation License.